RoboGene® HDV RNA Quantification Kit 2.0 kit was used for establishment of the 1st WHO HDV RNA standard (Chudy et.al. 2013). 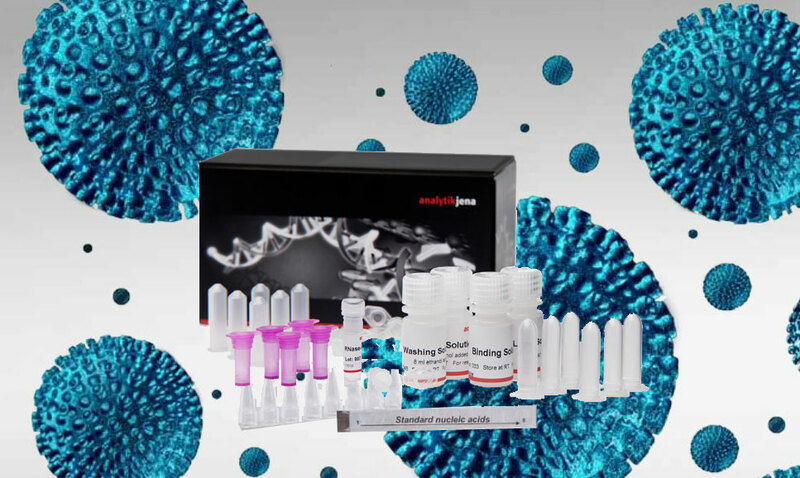 Following extraction of viral RNA using the INSTANT Virus RNA/DNA Kit and due to the internal RoboGene®extraction and amplification concept as well as high-quality quantitative standards the RoboGene® HDV RNA Quantification Kit 2.0 features a perfect analytical and diagnostic specificity. Moreover, with IC-RNA and amplification enhancer pre-coated sample and standard tubes realize minimal error susceptibility as well as the allowance for safe exclusion false-negative results. The RoboGene® HDV RNA Quantification Kit 2.0 contains sufficient amounts of reagents and compo-nents to process 50 or 100 patient samples additionally to the 2 or 4 x 8 quantitation standards.